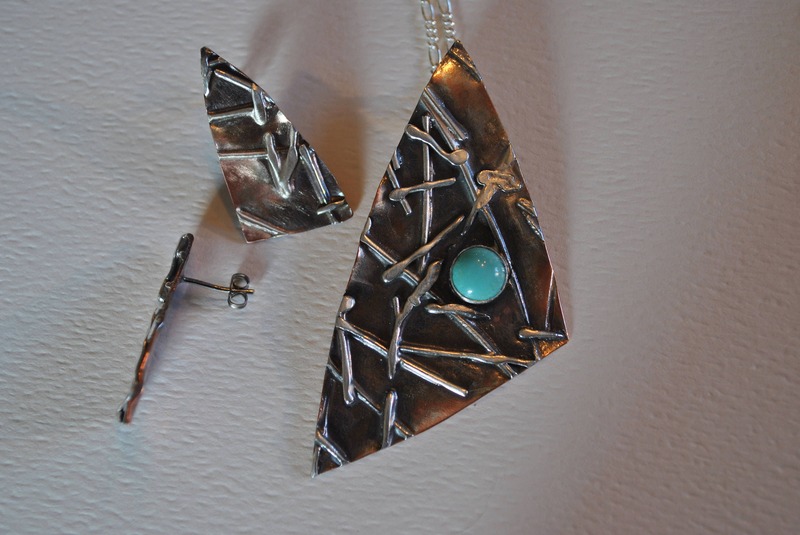 Turquoise gemstone and textured sterling silver and copper pendant and earrings. 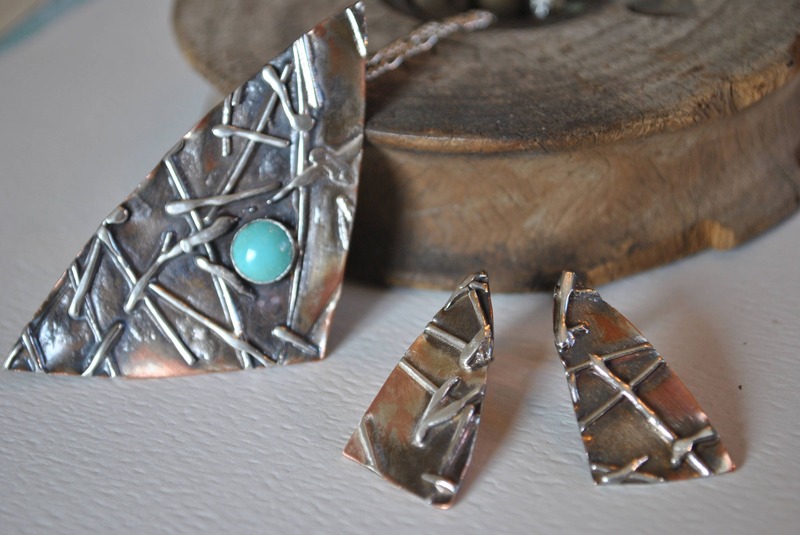 You will love the texture on this pendant and earrings set created by fusing sterling silver wire to copper. 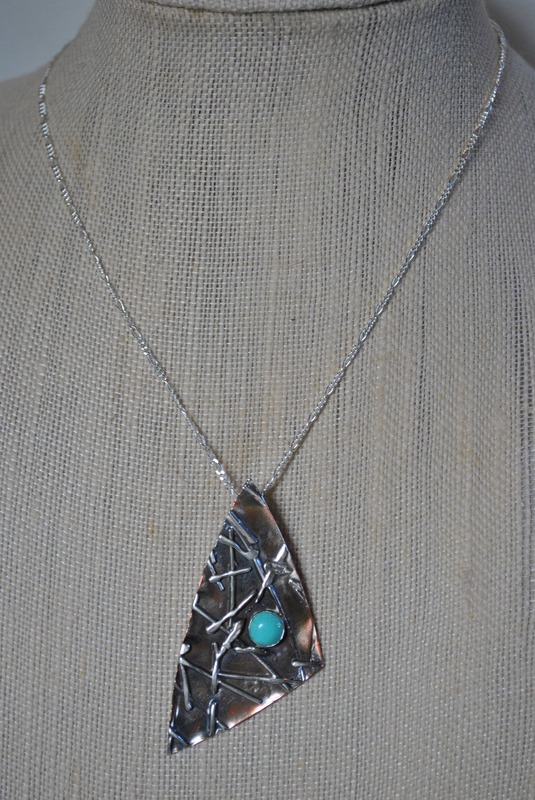 A round turquoise cabochon is the finishing touch. 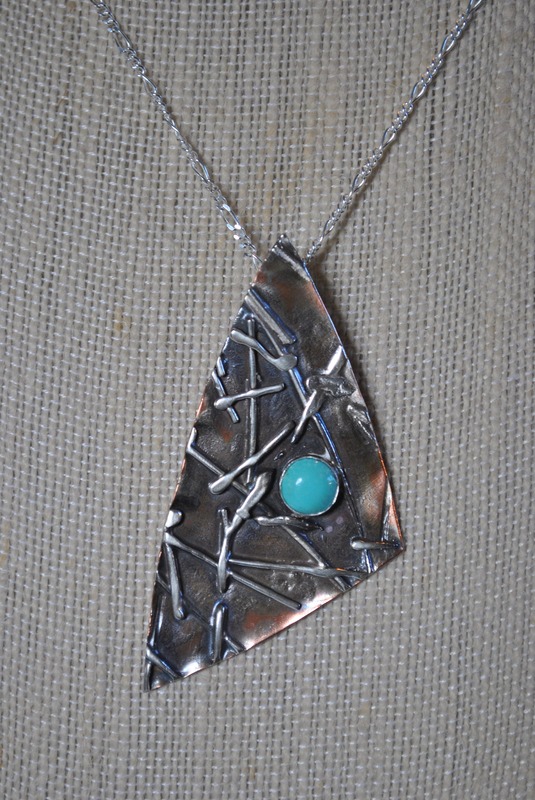 I never know what I will 'get" when I create these fused texture pieces. 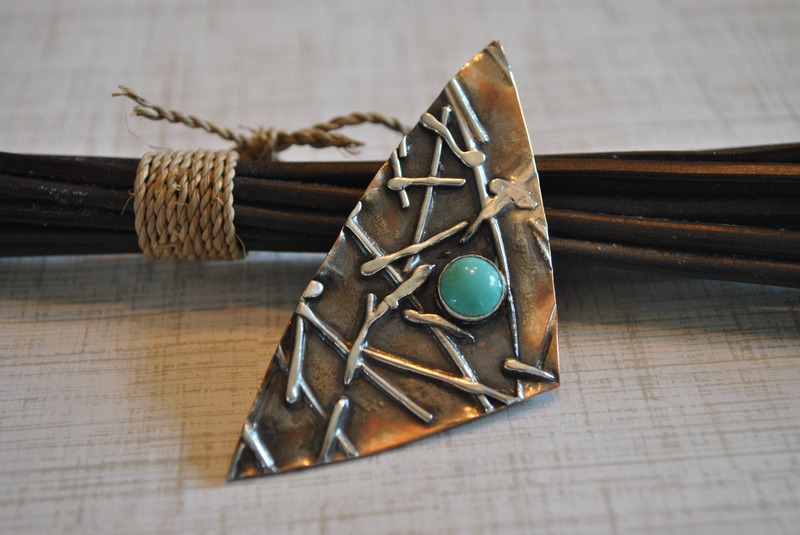 On this one, some of the silver melted over some of the copper creating such a cool effect. 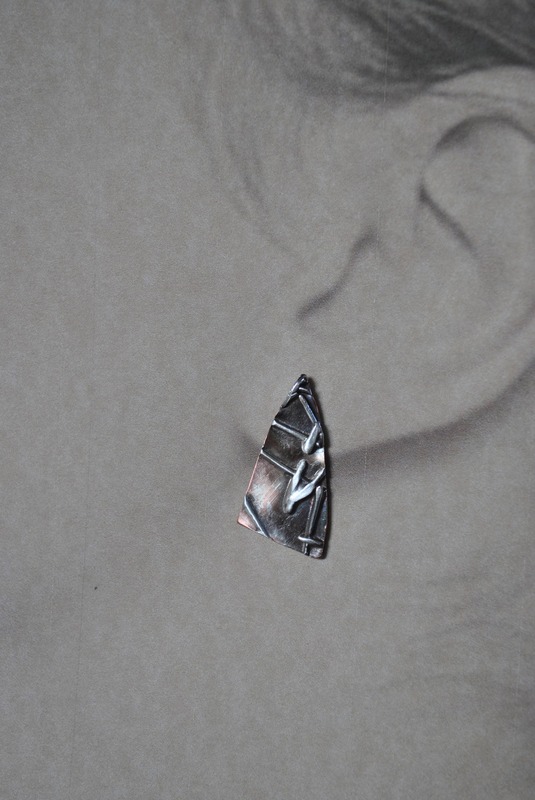 Every piece I make will be totally unique due to the torch work and how I arrange the silver pieces. Fun for me to make and for you to wear! 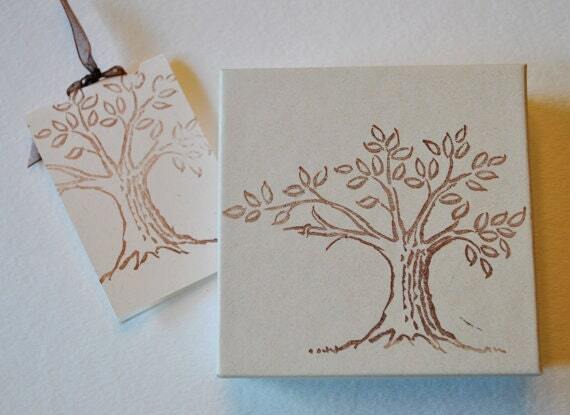 Your necklace set will be carefully wrapped in gift box and mailed in a bubble mailer.